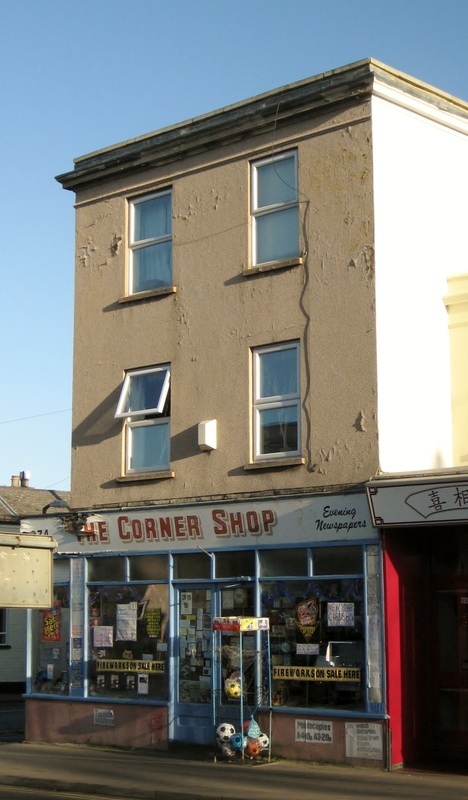 In the early years of the 20th century this large property on the corner of Francis Street was in the ownership of the Scudamore family, who were millers and hay merchants. Albert Scudamore was born in the Forest of Dean in about 1863 and started in business at the Island Flour Mills in Gloucester. He and his wife Caroline had three children but she sadly died in 1902 at the young age of 36. Albert remarried and had a further two children with his second wife Ada Louise. Albert was a staunch churchman and was widely respected, including by his fellow tradesmen. A quiet man by nature, his family was of the utmost importance to him. After leaving Gloucester Albert entered into partnership with his brother, John Howard Scudamore, and together they founded a milling business at the Albion Flour Mills in Swindon Road, in Cheltenham. In the early hours of Saturday January 28th 1905 disaster struck when fire broke out and totally destroyed the mill, at an estimated cost of several thousands of pounds. The brothers were forced to relocate the business and soon after the fire transferred it to the Bath Road, where they stayed for about six years. During the last days of 1911 Albert became ill and he died, of double pneumonia, on January 12th 1912, at the age of 49. He was buried near to his birthplace. The business was sold and Ada emigrated to Australia, together with her two young children. However the older children of Albert’s first marriage stayed in Britain. In the sale details were included stabling for horses and a bakery with large and small ovens. These premises, together with the adjoining property, then became part of the Webb Brothers pork butcher’s shop. However their use of this property can only have been temporary, as by the outbreak of the First World War the building accommodated the Wilts and Dorset Bank, which was taken over in April 1914 by Lloyds Bank. The first manager here in 1914 was Mr Lush and the last one, in 1939, was Mr R B Seaton. The sub branch closed in September that year, as part of the rationalisation of Lloyds in preparation for World War II. 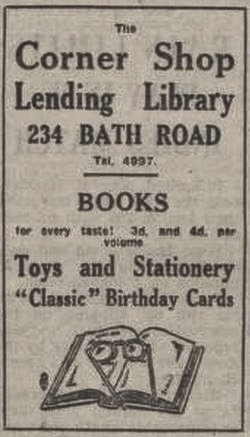 In the early 1940s this property became the Norwood Book Shop, with Mr N Rosser as the proprietor. The shop was quite small but had a room leading from it which was used as a lending library. 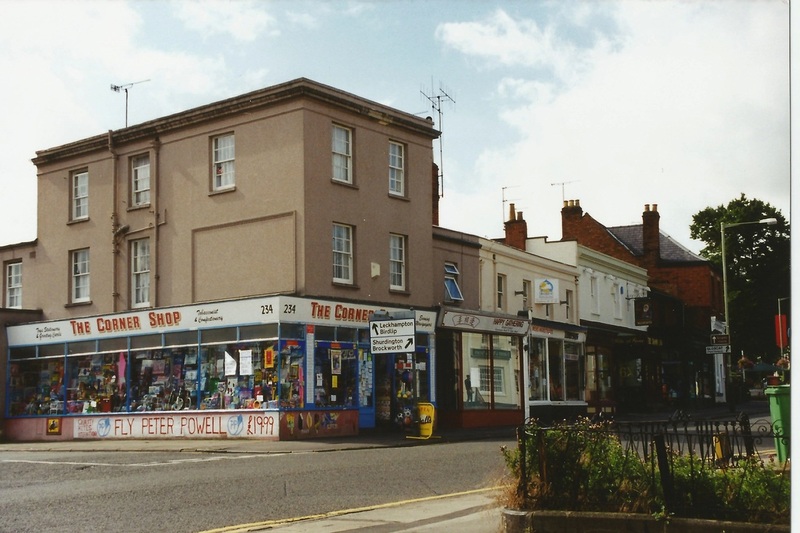 By 1950 the shop had acquired its current name, The Corner Shop, and in 1953 it was bought by Mr and Mrs Worsfold, who sold stationery, books and toys. During the late 1950s they extended and modernised the premises. In August 1963 the Worsfolds sold the business to Mr Robert Webley, who continues to trade here more than 50 years later.